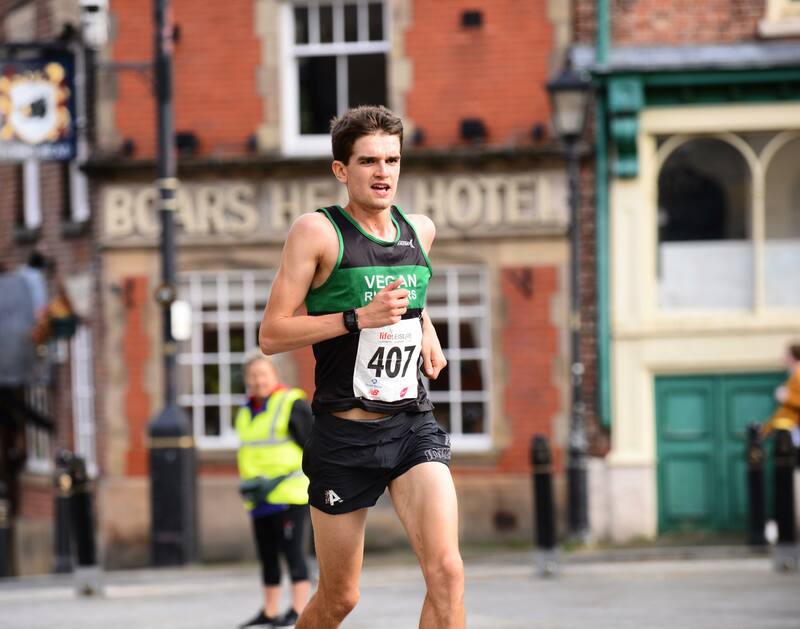 I turned 23 this July so decided to have a final go at the Yorkshire U23 Championships, which this year took place at Ilkley Moor fell race. I had a good run in last year’s champs, finishing 2nd U23, and hoped to build on this. Despite a strong start and being in 6th place at halfway, I faded later on and ended up finishing 12th place and 4th U23, not the start to the season I had hoped for. Read my full report of that race here. 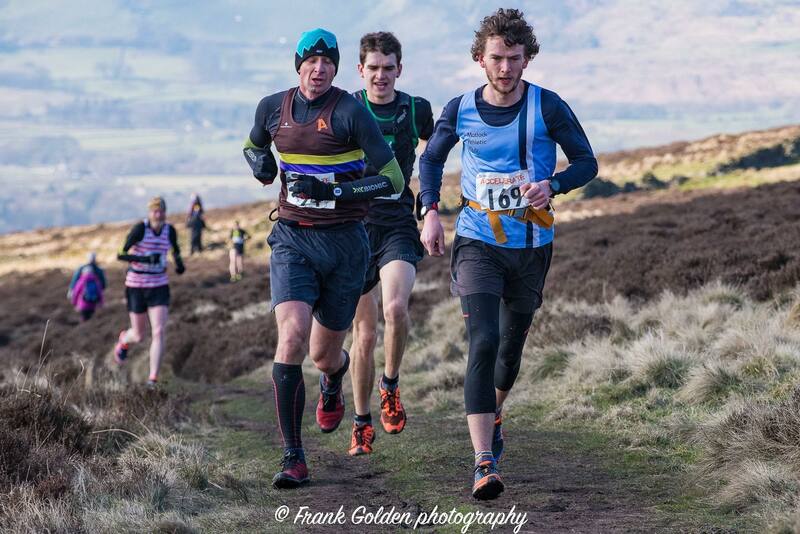 Just a week after the disappointment at Ilkley Moor, I was racing more locally in the Peak District at the Hope Winter fell race. The race follows a fantastic route over Win Hill, with 450m of climb in 10.5km. It was an extremely cold day, with the ground frozen and clear blue skies, making for a fast race. 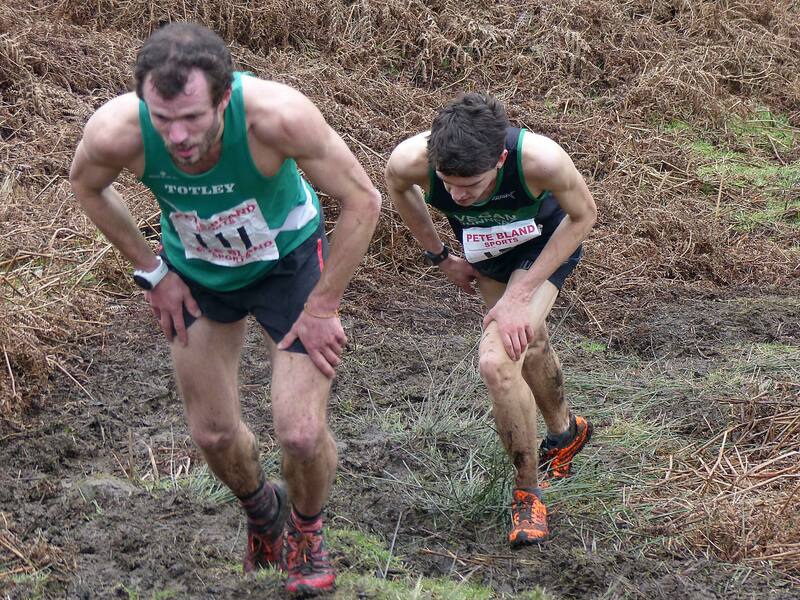 I started off well and soon found myself in a leading pack with 2 other runners, Stu Bond and Billy Cartwright. We climbed all the way to the summit of Win Hill together, before I managed to take a good line off the top towards the forest below and open up a slight gap on the descent. Hitting the forest, about halfway in at this point, the route flattens off and I continued to work hard to try and maintain the gap I had gained and stay in the lead. However, Billy managed to bridge back across the gap to me, and we ran together from here, taking turns setting the pace. We hit a turn to begin the climb out of the forest and back to the finish field, where I slipped on a frozen puddle and went down on my right knee hard, drawing blood. I got straight back up and worked my way back to Billy, who was kind enough to check I was alright. We vied for position going up this final climb and I hit the top just behind, before storming past as we began the descent; I’d made my move and went for it on the downhill! We flew down the descent, which though not steep was very technical in parts, and despite my best efforts I just couldn’t seem to shake Billy. We left the trail and hit the road for the final kilometre back to the finish field, swapping places as we both tried desperately to drop the other with endless surges and attacks. I felt like my heart was going to explode but knew I couldn’t give in now. We left the road and made our way through a stile, and it was here where Billy got in front of me and I feared the worst. I had ran the finish route prior to the race as part of my warm up so knew what to expect, and decided to just try and stay behind until we reached the last turn, and then sprint for the line. We hit the corner and I burst out to the right of Billy and kicked with everything I had left for the finish funnel – it was just enough! I won in 44:32, just 2 seconds ahead of Billy and 6 seconds off the course record. What a race! After the disappointment of the week before, I was ecstatic to win here. 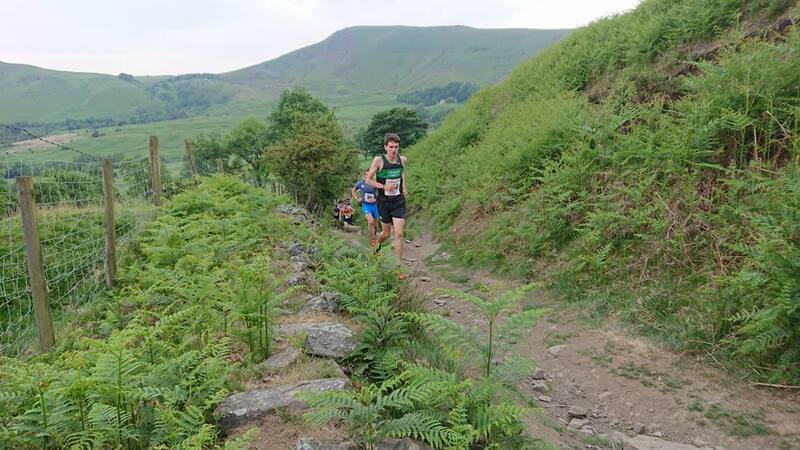 On the weekend of 8th – 10th June, I ran 2 races in the Accelerate Gritstone Series – Castleton fell race on the Friday night, and Edale fell race on the Sunday morning. I had a good run at Castleton, chasing the eventual winner Nathan Lawson alongside Stu Bond. We made good time along the great ridge, and seemed to be closing the gap to Nathan by working together up the climb, but Nathan descended well and the gap was too much to make up. Stu also was too quick for me on the descent, his strength and experience paying dividends which meant I had to keep on working hard on my won to ensure I finished in 3rd place. Despite some confusion at the end with Nathan and Stu finishing in the wrong place, I managed to secure a solid 3rd place against some quality competition. 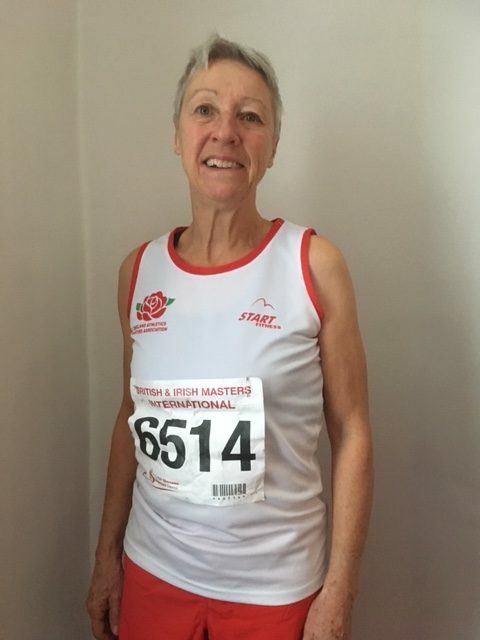 I ran this race in 2015 and finished 33rd in 48:51. 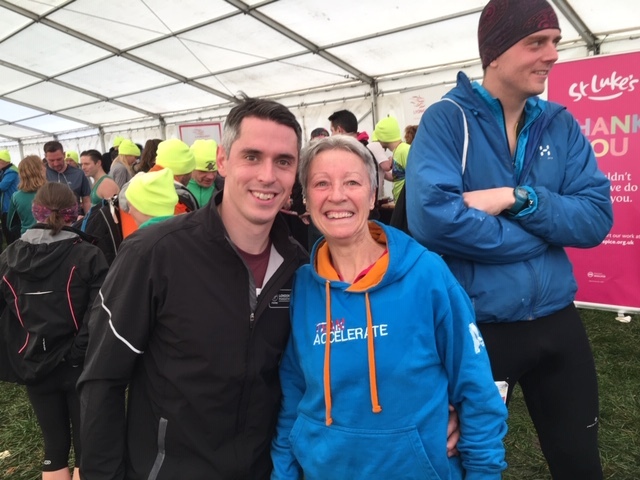 In 2018, 3 years on, I managed to finish 30 places better in 43:22, so was very happy with my run here! 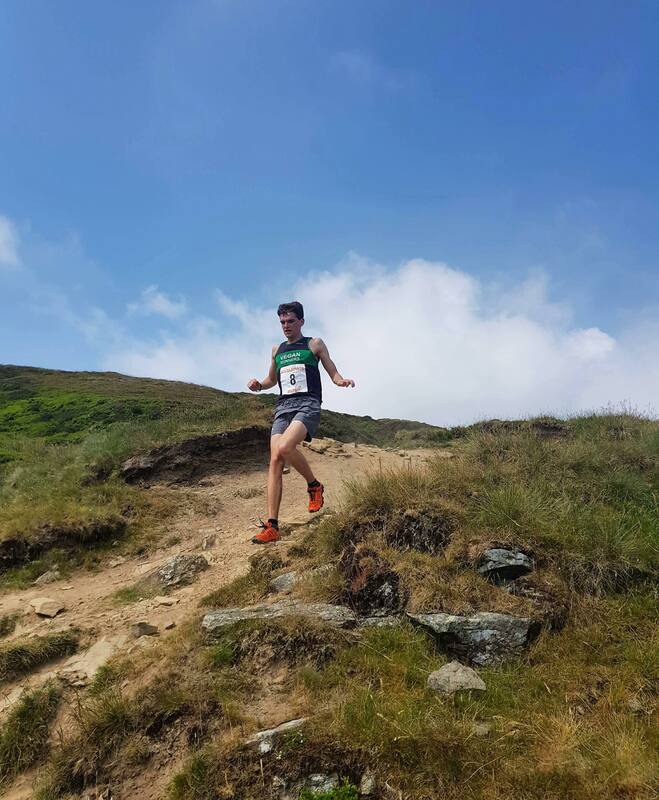 I had managed to nearly go over on my ankle whilst descending from Hollins Cross however, which made for a nervy Saturday spent at work hoping it would be ok to race on the next day. 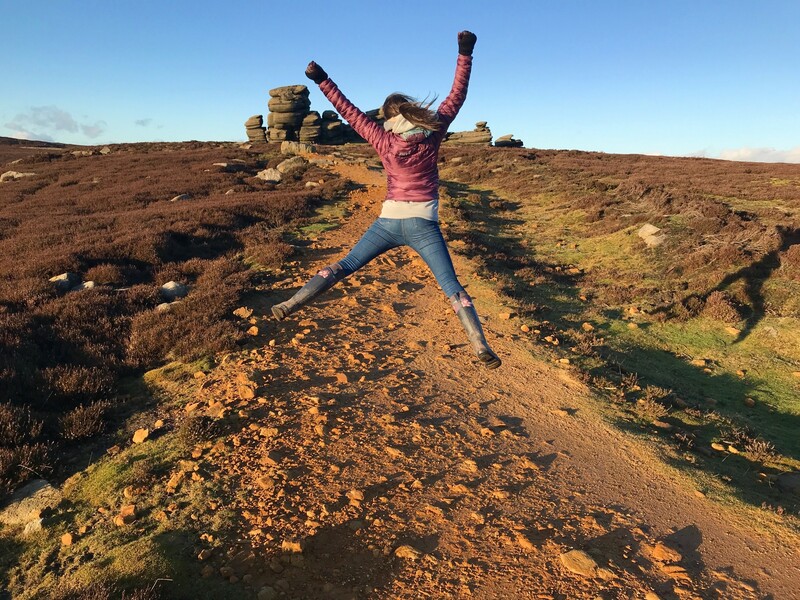 I went along to Edale on a ridiculously hot summer’s day and warmed up, the ankle feeling ok – I decided to go for it! 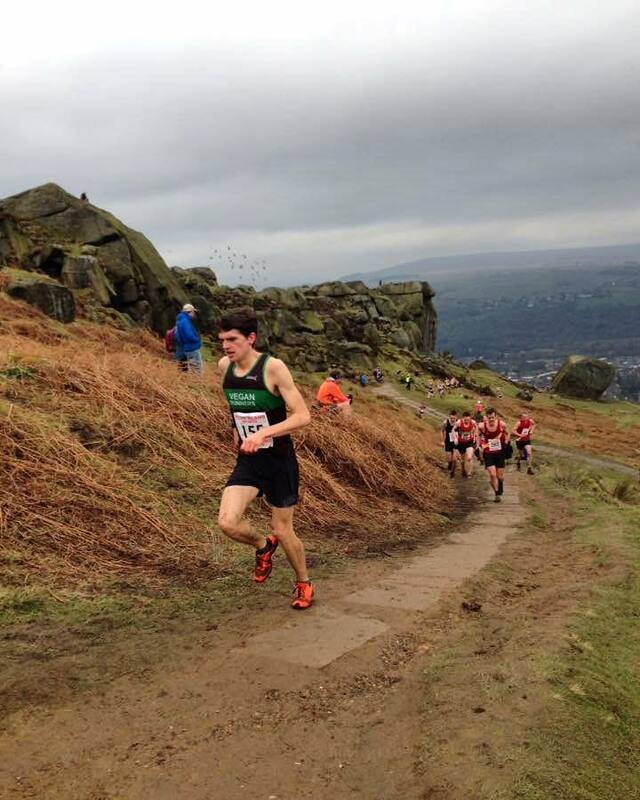 Edale fell race starts on a steep hill, and climbs ringing roger before traversing along the edge of Kinder Scout. Going up the first climb I was in 2nd place, working hard but trying not to overdo it in the blisteringly hot conditions. I slowed a bit towards the end of the climb, but found myself still in 2nd with a couple of runners close behind. 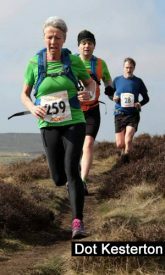 Approaching the summit of Grindlsow Knoll, I was passed by a runner from Matlock AC before beginning the gnarly, technical descent back to the finish. Losing 200m of height in 1km, I ran as fast as I could down the hill but couldn’t quite close the gap to 2nd place, however I placed well on the strava segment for the descent so was happy with that. Running down the road to the finish I kept on pressing to close the gap but there wasn’t enough road so had to settle for 3rd, and was happy to cool down with some water after the race! Two 3rd places in 3 days, all in all a good weekend! 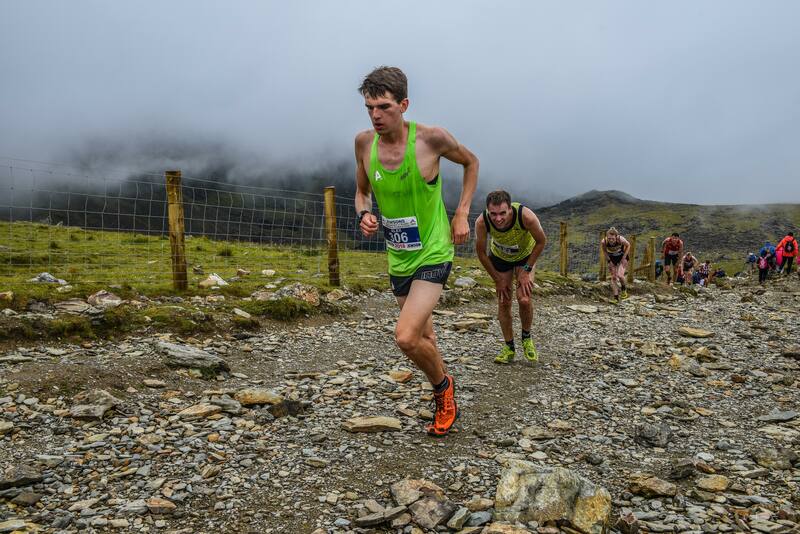 July came around and with it my main target race of the year, the Snowdon International Mountain Race in Llanberis, Wales. This race has a long, prestigious history, and attracts a stellar international field each year. To say I was excited to race it is an understatement! The weather for the race wasn’t perfect, some rain the morning of the race had made the rock quite slippy and treacherous for descending. My plan for the race was to go out at a good effort but not too hard, then build the effort as the climb went on, before going for it on the descent. In hindsight, I should maybe have saved a little more for the descent. I felt I climbed really well, starting a bit back from where I wanted to be then beginning to pass people after the first kilometre or so. I kept on working hard and moving up the field, before reaching the steep, stepped section of the route where it was almost all but impossible to not walk. A climb/descent of this length is something I haven’t raced before, so I was pleased with how I paced the climb, reaching the top in 48:50. From here it was just the small matter of almost 5 miles back to the finish! Going back the way we ran up and passing runners coming the other way, plus the large amount of walkers, made for a hair-raising, adrenaline-filled descent. I won’t hide the fact that I had been pretty anxious about the descent prior to the race, given the steepness of some sections and the sheer amount of time I’d be descending for, however I felt like I was doing ok and by the time I had nearly reached the bottom of the trail going up the mountain I had only lost one place. Hitting the road marks around 1 mile to go, and is where I began to run out of steam. 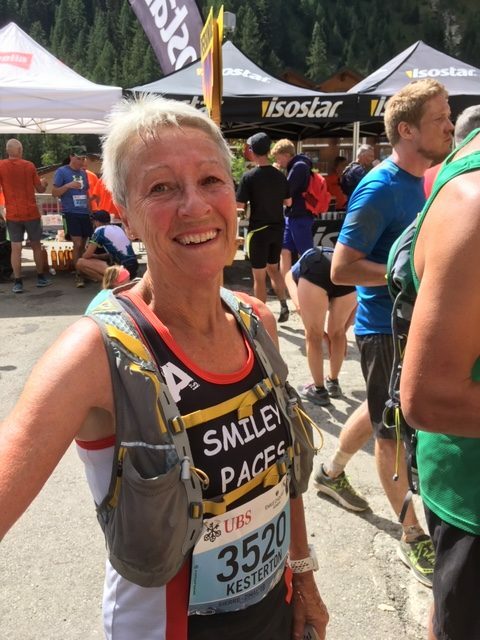 I felt like I hadn’t paced it very well at this point as I felt like I was running out of energy and could feel twinges of cramp in my quads and calves. I made it down the ridiculously steep road section and hit the flat, 800m remaining. Here I could hear footsteps behind me and annoyingly 5 other runners came past me in these closing metres, and try as I might I just couldn’t respond. I ended up finishing 33rd, with around 10 seconds separating me from 25th place, demonstrating the depth of quality in this race. I finished in 1 hour and 16 minutes, 9 minutes back from the winner Alberto Vendere from Italy. 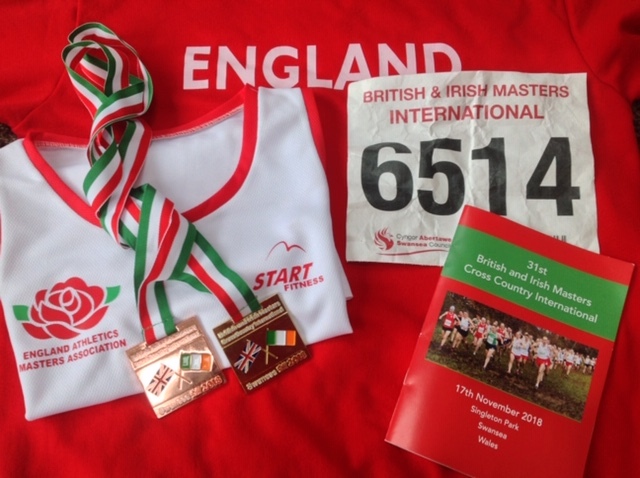 I was really happy with my race and time, with plenty to work on for next year. 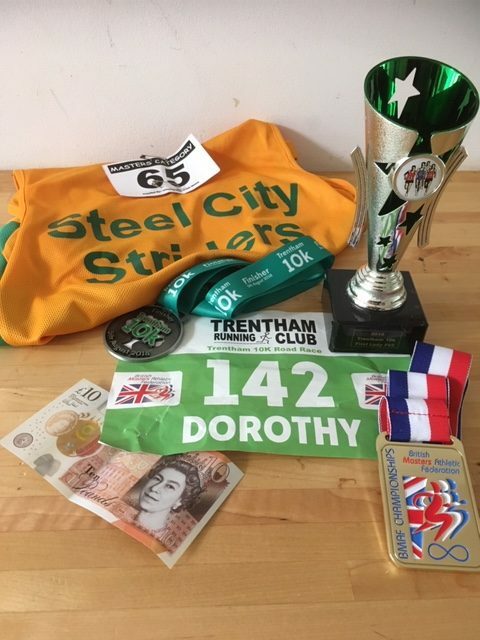 In September I ran my first road race of the year at the Stockport 10k, a big meet-up race for my club Vegan Runners UK. 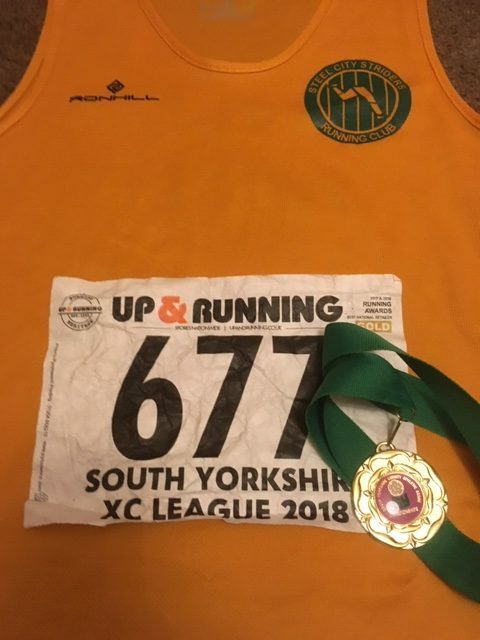 Last year this was one of my best races of the year, being the first race I ever managed to win, running a PB of 34:30 in the process. I was keen to repeat this result this year and had trained hard prior to the race, running a PB of 16:28 over 5k a few weeks beforehand. The route was different to last year, and was now hillier and featured many, many more twists and turns, making for a slower route. I set off conservatively through the streets of Stockport, knowing that the second kilometre was pretty much all uphill. 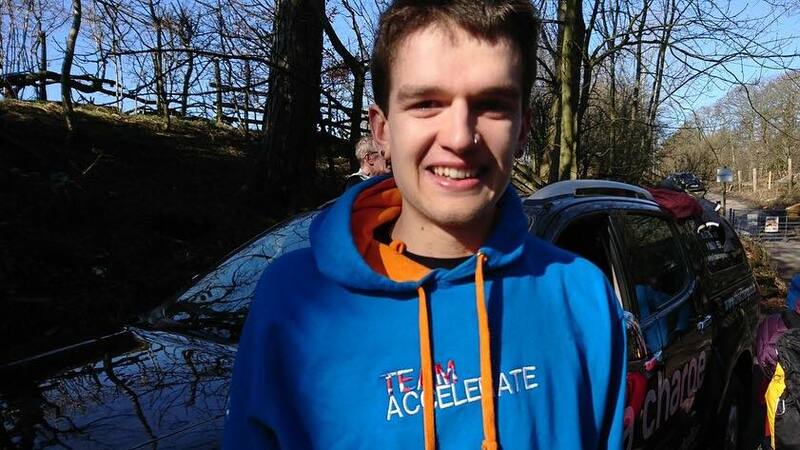 I found myself leading the race, with a chase pack of 3 runners about 5 – 10m behind me. I kept on working hard up the hill, finding the constant twists and turns difficult, sapping any rhythm I had. However I managed to open up a gap and by 5km into the race had a sizeable lead. 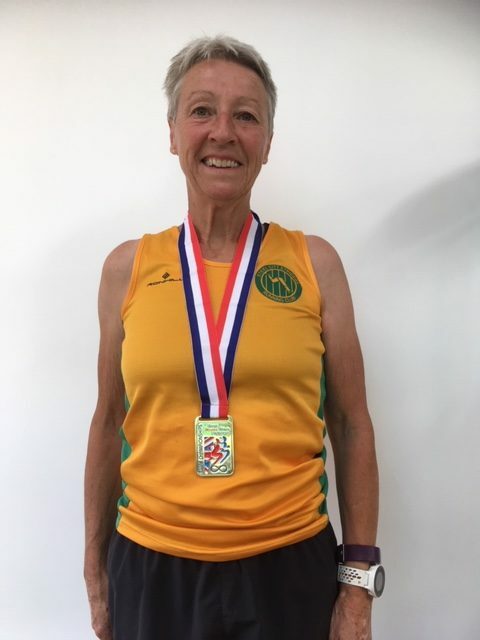 I knew I just had to keep the effort going and not blow up so concentrated on running efficiently and working hard to make each kilometre split as fast as the last. At 8km into the race, a lorry began doing a multi-point turn across the road that was part of the race route about 100m in front of me. I couldn’t believe it! All sorts of thoughts ran through my head, chiefly that I was going to lose my lead thanks to a random lorry! Fortunately the lead cyclist powered ahead and shouted at the lorry driver to move, which he did just in time for me to squeeze by at one side without breaking my stride. Phew! From here there was one final, steep, short climb up a cobbled street before the final sprint to the finish. 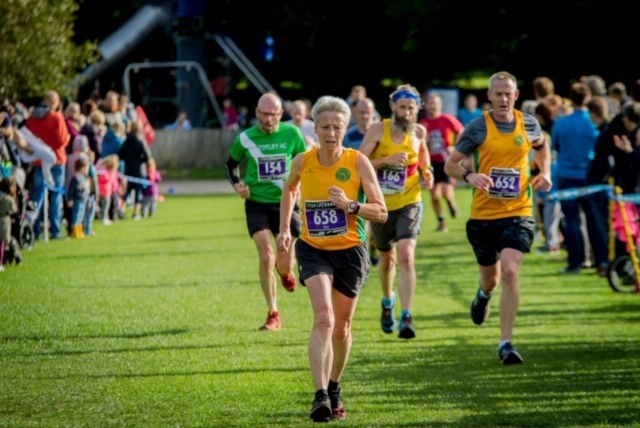 It was a great feeling to cross the line first again at this race, especially whilst wearing the Vegan Runners UK vest, showing that vegans can be fast too! It was a great way to end the year of racing. All in all, it has been a fantastic year of racing for me, with big improvements and a couple of good race wins. Next year I hope to build on these results and performances and keep on improving. 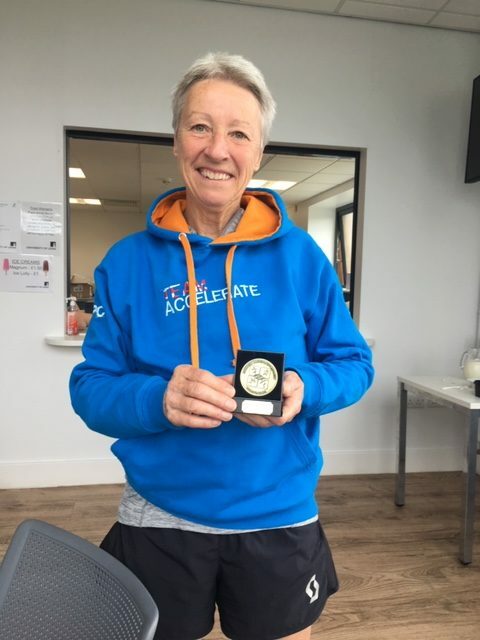 I couldn’t have achieved the results I have this year without the support of Accelerate Running Store and Inov8, and am extremely grateful to both for their continued support. I can’t wait for 2019! With the winter getting colder and the wind picking up out in the hills it’s time to reach for a warm jacket and get outside. 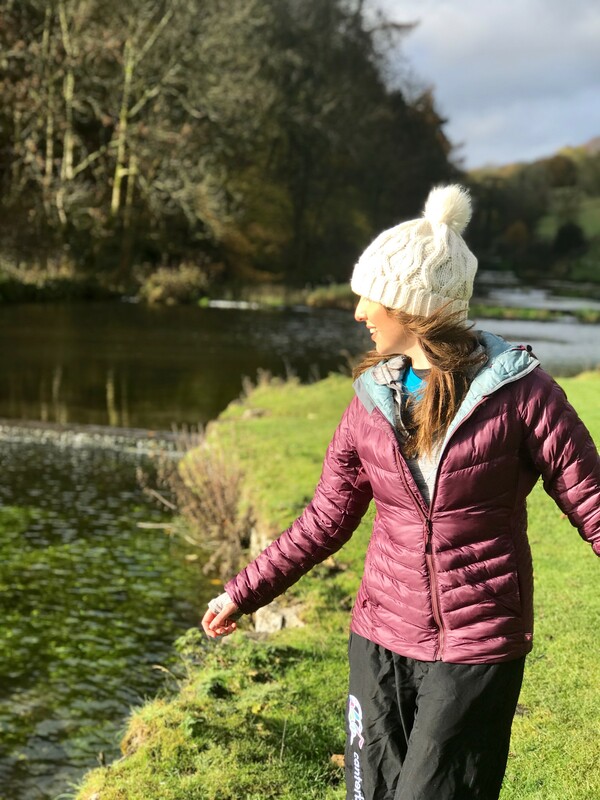 The Inov8 Thermoshell Pro has quickly become a favourite of mine and is ideally suited to cold outings whether you’re just out walking in the hills or competing in a mountain marathon. It is also my go-to pre/post-race cover up as it delivers warmth without being too bulky. The Thermoshell uses PrimaLoft Black Insulation ThermoPlume which means it is as soft and compressible as natural goose down but its water-resistant finish means that you stay warm even in wet conditions. This technology gives the coat thermal properties equivalent to 550 fill power down – which is a lot! The outer fabrics are also water-resistant and wind proof which further protects you from harsher conditions. When moving the jacket fits easily to your form allowing a full range of movement, this means you can hop, skip and jump your way across the mountains. 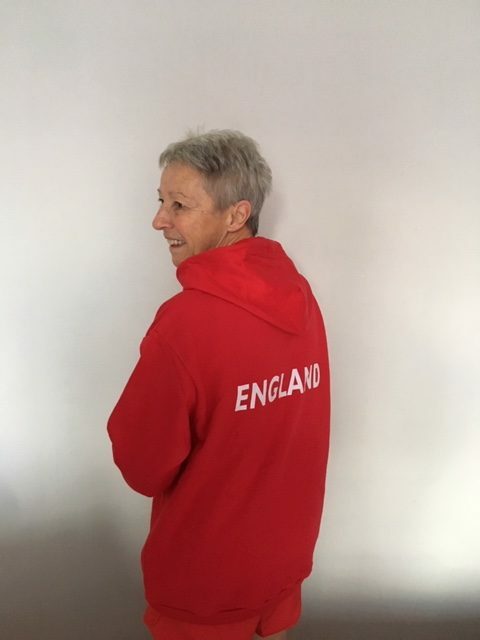 The hood can also be adjusted so that it stays in place whilst you’re moving – keeping your face protected from the elements and the soft inner cuff prevents drafts from sneaking up your sleeves. The jacket can be packed easily away into an internal pocket and weighs under 400g which makes it the perfect coat for anyone who wants to save on weight but not on warmth. GRIP – By Friction, the ability to cling onto a surface. TRACTION – The ability to pull or draw something along. In essence GRIP is just the ability to cling to stuff. While TRACTION is the resistance against sliding, when being pulled at (usually while under load). Grip works when materials are able to stick on mere contact alone, but Traction adds the ability to pull against something and have it stay fixed in place when the Grip might otherwise fail. There are sticky rubber outsoles. And there are harder, more plastic outsoles. The softer, stickier stuff clings a lot more on contact with the ground, but suffers a lot more wear for being so soft. The harder/tougher ones take a lot more abuse, but will perhaps fail to cling in wet or uneven areas. When it comes to off-road running, the ability to stick is still very useful, but it’s more important to keep your feet where you put them (to not have them slide in any direction), so you need some texture under foot, which will allow the shoes to grab into the surface and hold when pulled against. Sticky rubber pulled across wet grass still tends to slip and slide. But teeth along the underside of the shoes mean they’ll sink into the mud, gravel, grass, sand, etc and stay in place when you push off. This is traction in action. A lot of road shoes have an almost entirely flat underside, allowing maximum contact across the surface of the shoe, for maximum friction – enhanced by soft sticky rubber when required. But these same shoes, even with sticky rubber here or there, will slide when used on wet or lose gravelly areas. So smooth for hard flat surfaces… Toothy for anything else. There are plenty of shoes which offer a low, flat stud for road and easy trails. There are some which feature much longer, narrower studs, which compromise friction on the flat, in favour of grabbing into softer ground. 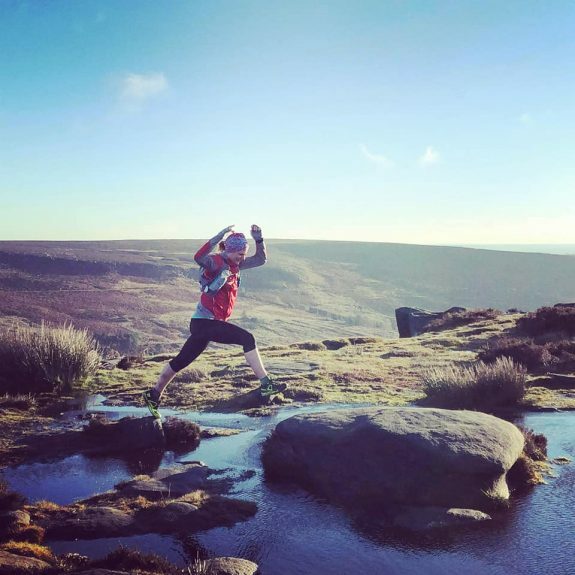 Knowing where you’re going to run most of the time and what kind of footwear might suit, makes a huge difference when attempting to move successfully over any particular area. Depth of cushion is for comfort. It’s protective against impact. But it won’t make you a better runner and it won’t stop you slipping when you push uphill, or on the flat. Nor will it save you from a fall, if you commit to a downhill without sufficient purchase under foot. Grip then, comes from materials and their nature. How ‘sticky’ they are when placed on a variety of surfaces. Traction comes from the design and arrangement of the teeth. All teeth facing the same way for forwards movement. In all directions for all-round traction over uneven ground. Reversed studs at the heel for traction on downhills. There are plenty of shoes with a mixture of directional studs, for use on hard and soft ground combined. A few shoes feature such things as metal tips for use on wet mossy rocks, tree roots, fallen limbs or perhaps ice on occasion. Some have glass fibres in flat studs for use on ice alone. Some try to cater for a bit of everything, but by their nature, fail to excel in any particular area, when measured against a dedicated shoe which is more niche, but more fit for purpose. Grip versus Traction is a never ending battle. Which is why companies produce such a range of shoes. 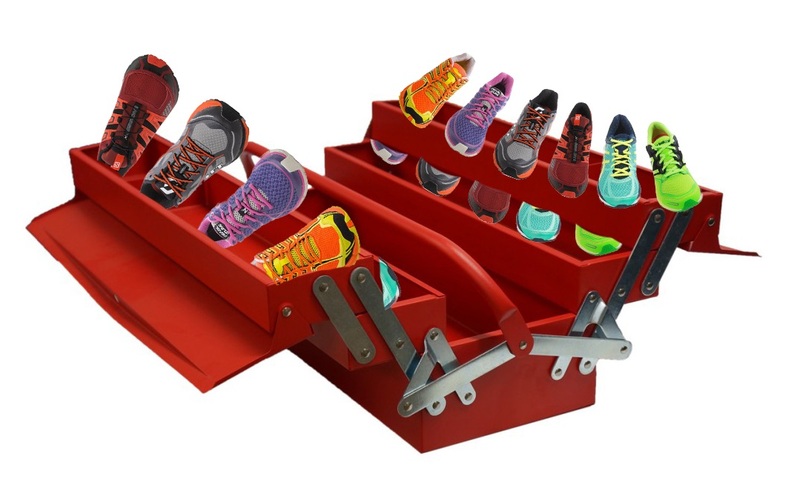 It’s also why the staff at Accelerate and the runners we support, own what we refer to as a ‘tool box of shoes’. Since we almost always know what we’ll need on any given run and the footwear that might best provide it. 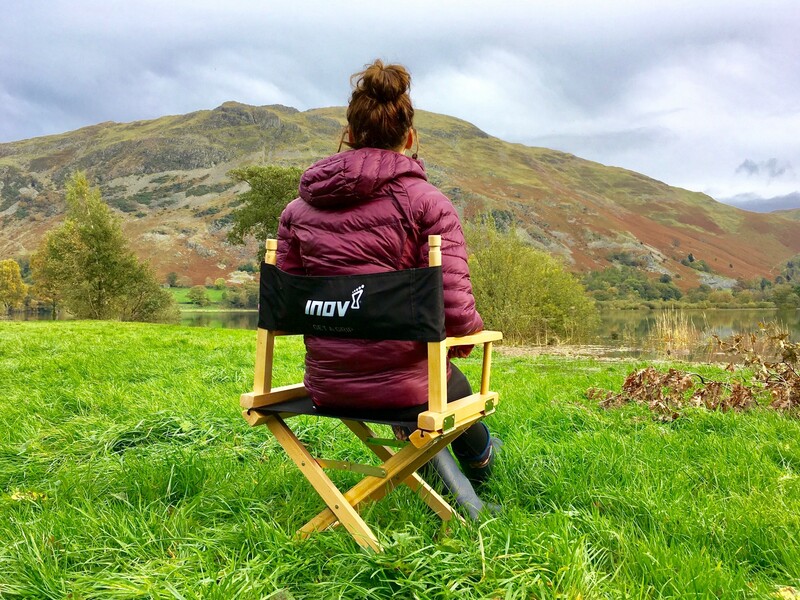 Grippy shoes with plenty of traction include: inov-8 Mudclaw 300, which has one of the stickier, grippier rubber outsoles, but also a conical stud which sheds mud more easily to maintain the traction when the mud threatens to fill up the gaps. 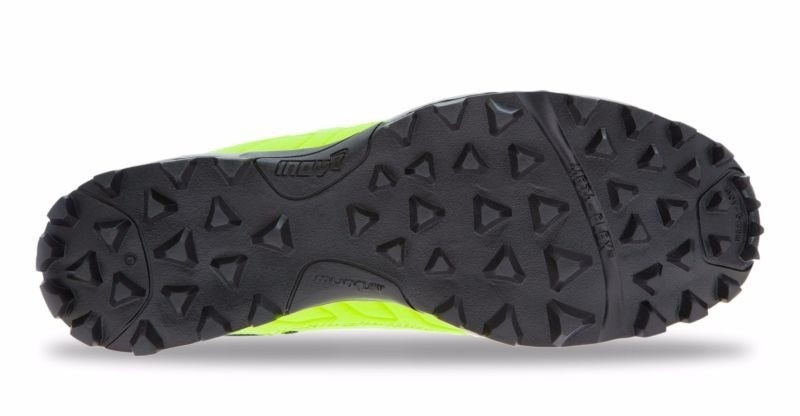 inov-8 X-Talon 212/230/200, which is still very sticky, but with narrower studs, more distanced, so more effective against grass, which can cause broad studs to slide, despite their depth. 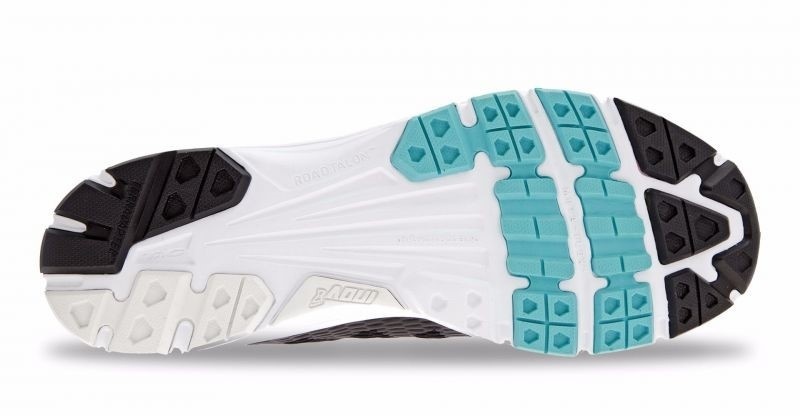 Scott Supertrac Ultra RC, which has a long narrow stud configuration, in zig zags with studs along the edges of the shoes to prevent the collaps that teeth alone can cause when they bend under load. More friction for multi terrain including road and flagstones, but again, less effective when used in mud and grass. Saucony Peregrine, which offers a 50/50 split between studs and gaps under foot, but with the addition of a deep midsole which provide a road shoe comfort on hard trails and tarmac. There really isn’t a shoe which rlies entirely on grip. And there’s little gain in having a shoe with traction if it slides off everything remotely firm that it comes into contact with. Cross Country Spikes are among the least grippy things you’ll ever come across, but with up to 15mm of steel spike protruding, you’ll hardly find a better source of traction on flat mud and grass. Steep terrain demands that you be able to attach yourself to the rocks and roots, the grass and mud and everything else that poses a risk as you hurtle downhill at speed. So less spike, more stud, with grippier materials which will momentarily allow you to put your foot down and trust it as you focus on where to place the other. Road shoes require more friction, with almost all of the shoe against the floor for maximum traction, so long as it’s made from something which grips all the same.